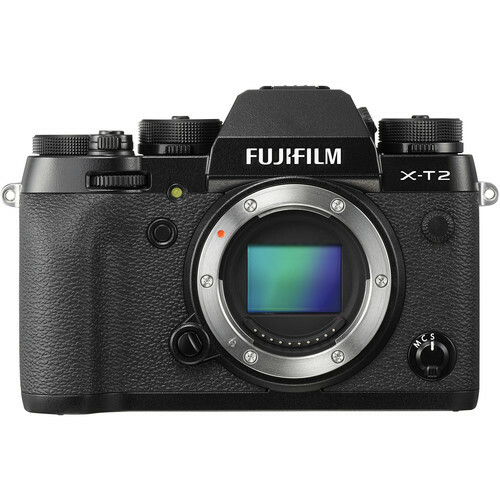 X-T2 Mirrorless Digital Camera (Body Only) is rated 4.8 out of 5 by 402. Does the New Profoto Air Remote-TTL fit onto the cameras hot shoe? At this time, the Profoto Air Remote TTL is only designed for Nikon and Canon TTL systems. Hi, can you ship products to India? What would be the shipping charge? We do ship to India. You may calculate your actual shipping options/order totals by adding the items you want to a shopping cart. It will then list the shipping options, descriptions, ETA's and fees to your location. Since there is a crop when using 4k, what is the 4k frame size in millimeters? I want to know the horizontal/ vertical measurements. The X-T2 has an APS-C Sensor with a 1.5x crop factor. When shooting 4k there is an additional 1.17x crop on the sensor. As an example a lens that is 16mm will now have around a 28mm field of view because of those crop factors in 4K mode.